A police incident on June 4th involving a night pursuit that lasted for six miles and ended in serious injuries for an innocent man had Mayor Steve Fulop accusing some members of the police force of technically breaking protocol during the pursuit on June 8th. The department now faces intense criticism over video footage of the event, which evidently shows those same police officers kicking an innocent bystander as part of the pursuit; so much so that the Mayor has also announced that he intends to fire and arrest the officers seen in the video. According to media coverage, the police engaged in a six-mile pursuit throughout Jersey City and proceeded to fire their weapons from their car at another moving vehicle, amongst engaging in various other activities that are arguably prohibited given the circumstances involved (i.e. a lack of absolutely having to in order to protect human life). Roadblocks, too, are prohibited unless as an absolute last resort where deadly force would otherwise be justified. 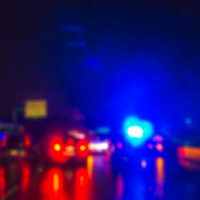 If you have been the victim of an illegal pursuit and/or search and seizure by the police and are being charged with a crime, you need to speak with an experienced criminal defense attorney right away. Any evidence illegally gathered against you—and possibly the crime itself—could be dismissed, but only if you have someone experienced working at your side. At the law office of Phillip J. Murphy, we’ve been defending those accused of crimes—including victims of civil rights violations—for more than 25 years throughout New Jersey and New York. Contact us today for a free consultation.